Firstly, it is hard to believe that we are already introducing the SIXTH Habit, “Synergize,” because there are only seven and where did all the time go! 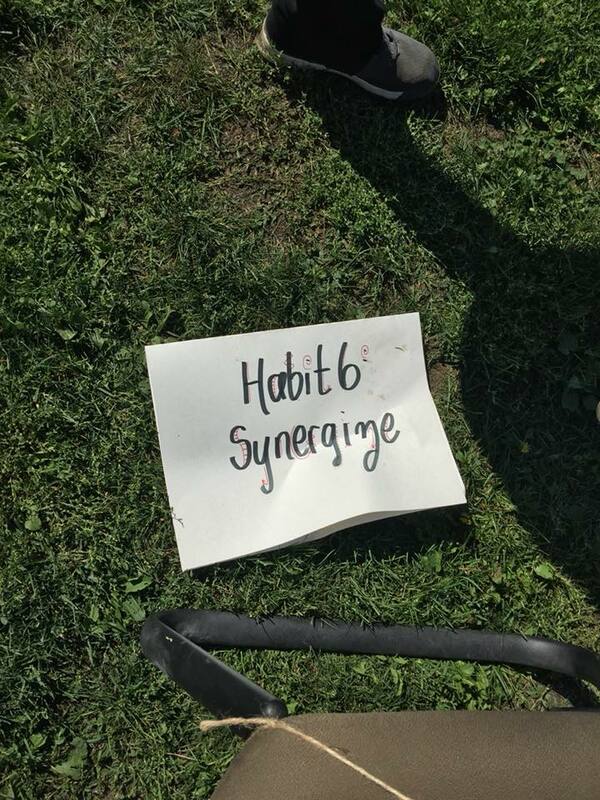 Habit #6 from Stephen Covey’s ‘The 7 Habits of Effective People’ was introduced to the students: Synergize. 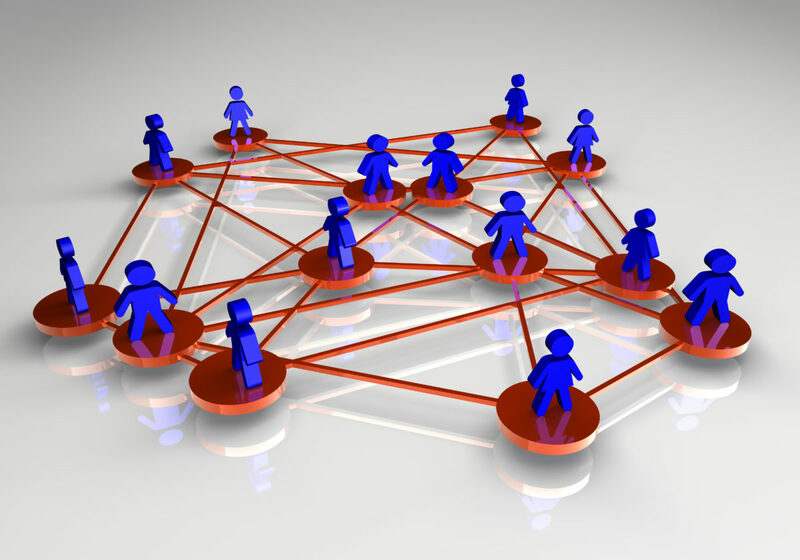 Synergize means to work together with others to accomplish a goal, while supporting one another and working to the strengths of each person. 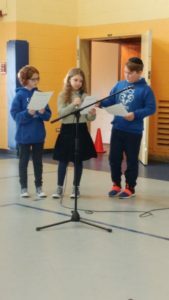 Grade 4 students introduced the habit to the school and discussed how they had to synergize at a recent ‘Kindness Workshop’ with Mrs. B and Shannon LaValley from JFS. 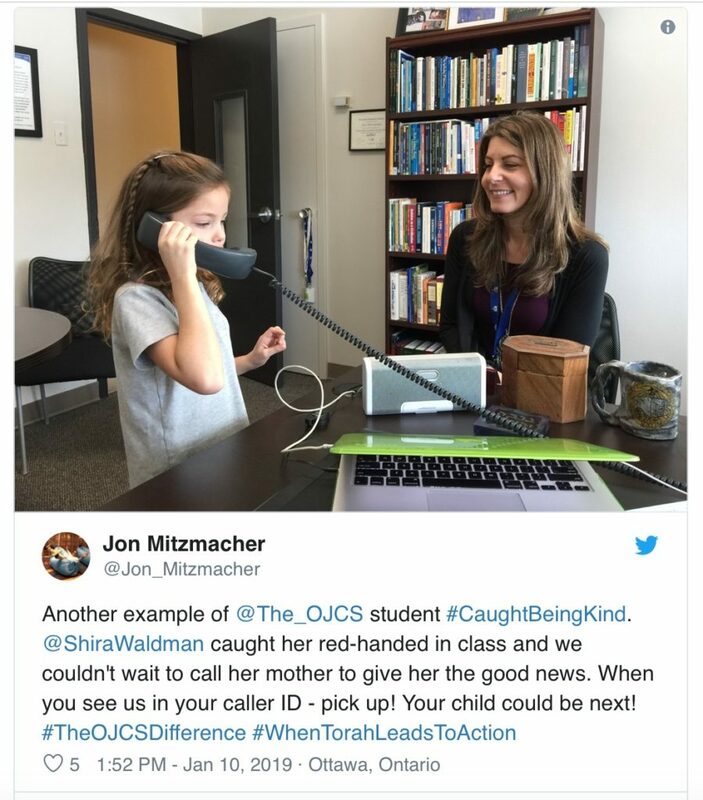 What I would like to do is take this line by line, in the spirit of the haggadah, and offer a little midrash about why I think “synergize” is a habit our school has embraced. As we have documented our innovative learning journey over the last year and change, one thing that has consistently been borne true, is that learning is no longer (if it ever was) about transferring knowledge from an adult to a child. 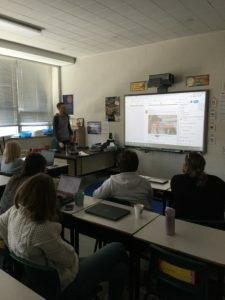 One thing that I treasure about our school is the commitment our teachers have to lifelong learning and the willingness they have to learn not only from each other, but from their students. We chose “Community of Kindness” as the initiative to ensure students feel welcome, protected, and loved within (and without) our walls. Each student, of course, is different from every other student because each is unique. But we know that we – not just our school, but each of us – should be ultimately judged by how we treat “difference”. We learn better together (North Star alert!). One of the critical “now” literacies is the ability to work well in “groups”. It will be the rare job our students will grow up to perform, where working well with others will not be a key to success. 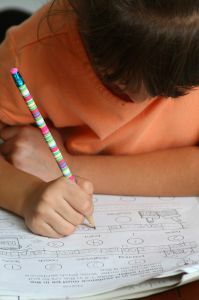 It isn’t a skill you master in kindergarten and revisit in adulthood; it is an art form to be practiced daily so mastery ensues. Here we really see collaboration in action; that by working with each other and learning from each other we will come up something better together than we could on our own. 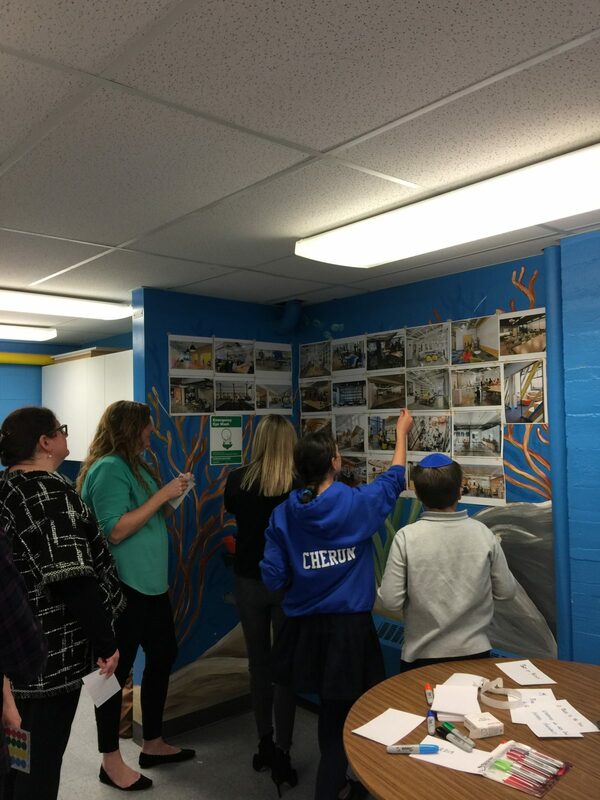 In addition to our “Genius Hour” projects, there are so many opportunities for students at OJCS to engage in project-based learning and the upcoming grand opening of our OJCS Makerspace is going to really help us take this to the next level. We teach our children that each is made in God’s image and that we ought to remember that when we interact with each other. Humility is critical to collaboration because it assumes an attitude that one does not know it all and that there is wisdom to be found in each and every one of us if we are only willing to look and to listen. 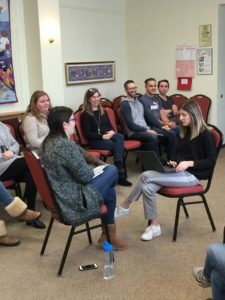 One way we have embraced humility is in the exploration to transition from Parent-Teacher Conferences to Student-Led Conferences and from Teacher Observations to Teacher-Led Evaluations. In both cases, we put the onus of responsibility on the learner to share growth rather than on the authority figure to ferret it out. Next month we will finish up with “Sharpen the Saw”! 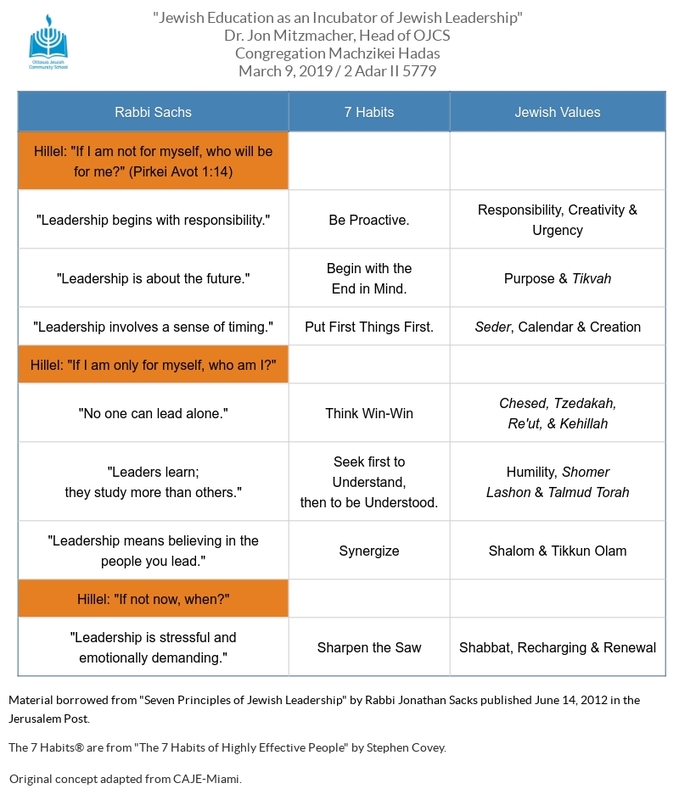 As we complete this year’s model sedarim, heading into Passover itself this weekend, should you wish to check out some Passover planning tips too good to, um…pass…over, check out last year’s post! 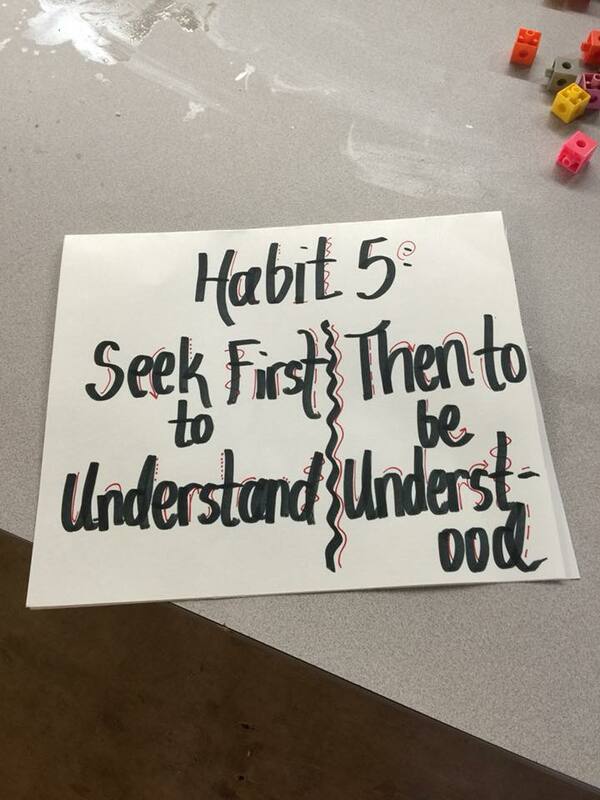 Although I did not purposely get behind in my “7 Habits” blog posts, it does work out nicely to land with this habit during the week of Parent-Teacher Conferences. 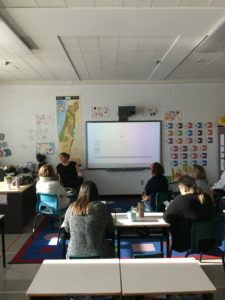 As you finalize parent-teacher conference preparations, we remind you that successful conferences include artifacts, next steps and solutions. 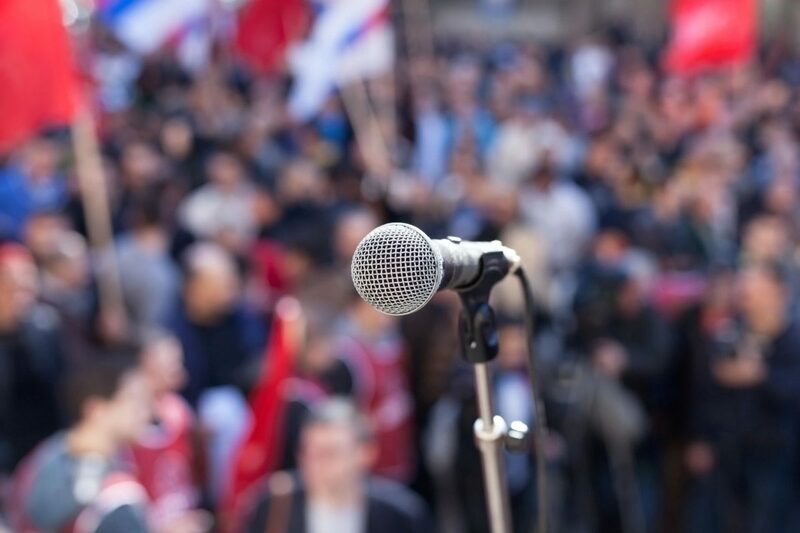 We encourage you to think through the lens of bringing solutions, not just problems, to the table. For any issue you need to raise with parents about academic progress or behavior, don’t just come with the issue, but with a practical solution to propose. Parents cannot be partners without clear expectations. We believe this mindset will go a long way towards having productive conferences and, more importantly, towards greater success in school. We look forward to facilitating solutions-driven conversations and we will look for feedback to see how well we did. But all of this is focused on what we are going to bring to the table. That’s only one part of the conference. We also have to be ready to listen – to really hear – what you are coming to tell us. And that’s why this month’s habit is so perfectly timed. Which doctor would you prefer? Which hospital would you entrust your family to? 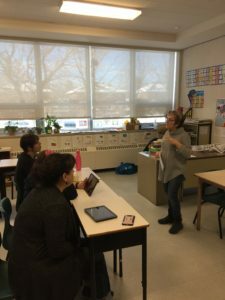 This led, at the time, to a very productive and ongoing conversation about listening that we hope continues to lead to better and better ways of interacting with parents in our school. Between our best preparations and our parents’ best intentions, we are looking forward to healthy and productive parent-teacher conferences this week. We are coming to the table with artifacts, next steps and solutions. But we are also coming with listening ears and open hearts; we hope that both parent and teacher will use this time to “seek first to understand and then to be understood”. If we can, (we can!) we ensure that the holy work we do together to educate children will be advanced. It just got real. Real exciting. 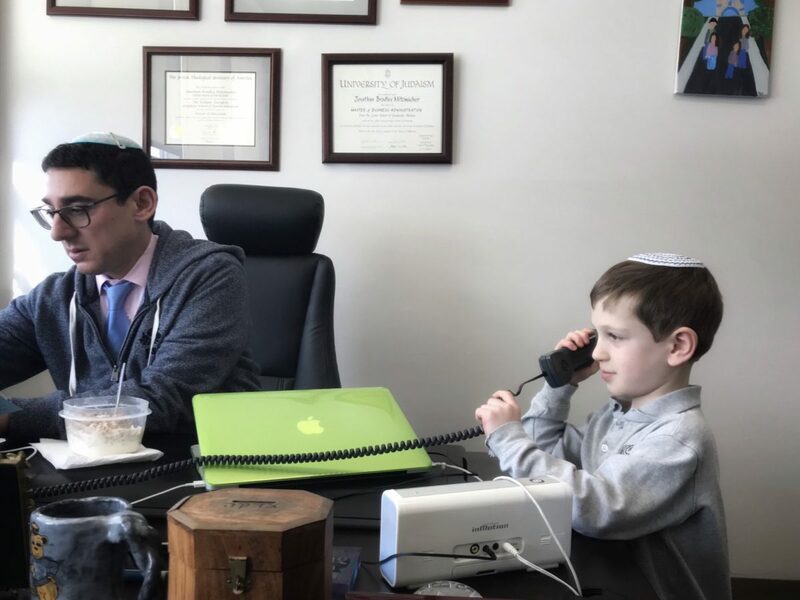 As we announced last year, thanks to the generosity of the Congregation Beth Shalom Legacy Fund, we were going to take on our first major project to make our physical space as innovative as our educational program. Or rather, we are now able to think about designing spaces that will best allow the unique vision OJCS has for teaching and learning to best come to life. [With a building as “seasoned” as ours, we don’t lack for options!] We intend to completely redo our “computer lab” and transform it into a tech-friendly collaborative workspace. We intend to completely redo our “library” and transform it into a 22nd century media literacy center. Etc. But we have decided to lead with a makerspace. Why? Glad you asked! 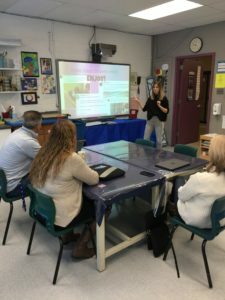 Although more and more schools have invested in makerspaces, it is still rare enough that it is okay if you are asking yourself an obvious question: What is a makerspace? Makerspaces are popping up in schools across the country. Makerspaces provide hands-on, creative ways to encourage students to design, experiment, build and invent as they deeply engage in science, engineering and tinkering. A makerspace is not solely a science lab, woodshop, computer lab or art room, but it may contain elements found in all of these familiar spaces. Therefore, it must be designed to accommodate a wide range of activities, tools and materials. 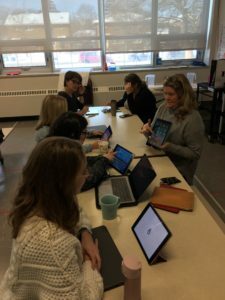 Diversity and cross-pollination of activities are critical to the design, making and exploration process, and they are what set makerspaces and STEAM labs apart from single-use spaces. 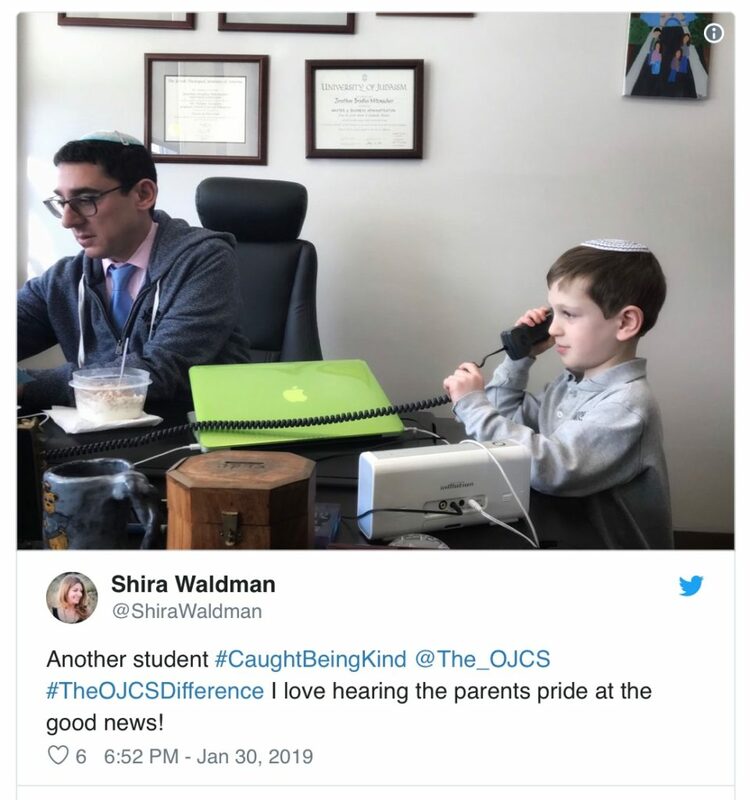 When you think about many of the exciting prototypes in play this year at OJCS – Genius Hour, VR, 21st Century Judaica, Robotics, Blogs, Recreating Biblical Artifacts and QR Codes for Art Projects, just to name a very few – they share one feature in common. They all require our students (and teachers) to make something. These are all learning prototypes that include or result in a tangible (including digital or virtual) product. They are also projects that are both cross-curricular and collaborative. 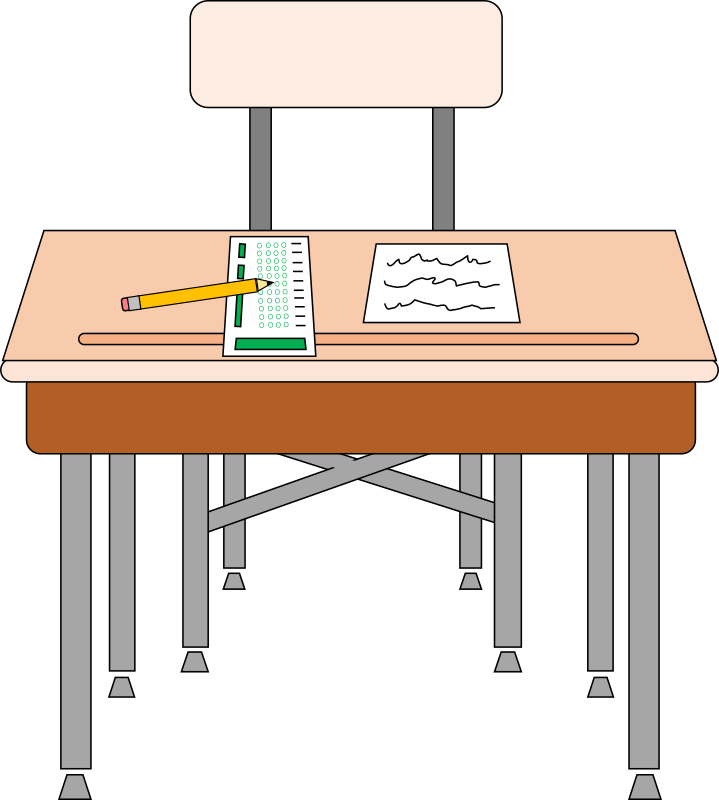 A classroom is not always designed to house learning of this kind. Our school needs a place where students can come as a class or in teams or on their own to be inspired. Our school needs a place where teachers can come with students or in their own teams or on their own to be inspired. Our school needs a learning commons designed as a hub of creativity. Our school needs an incubator of innovation. Our school needs a makerspace. 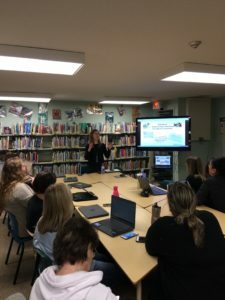 …activities, tools and zones to maximize our space and enhance energy and enthusiasm for learning at OJCS. [Where is this space going to be located, you might be wondering (if you are an OJCS parent)? Once we settle on our priorities, we will move to design. From design we move to furniture and fixtures and from there we move to construction itself. Our current schedule has us breaking ground in July and on target for a grand opening on the very first day of the 2019-2020 school year! It will be our pleasure to share out designs as they come in and it would be our pleasure to show any current or prospective families the spaces we are discussing. Although we know the building isn’t the most important factor in a quality education, we also know that the right kinds of spaces can have a meaningful impact on the educational experience. 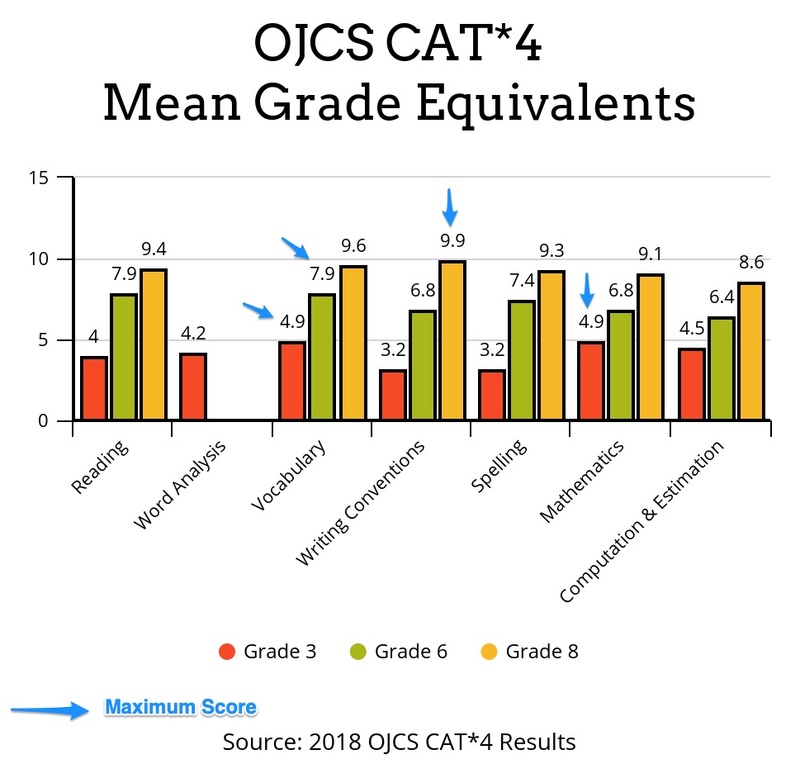 We are proud at OJCS to be creating innovative spaces to match our innovative program. 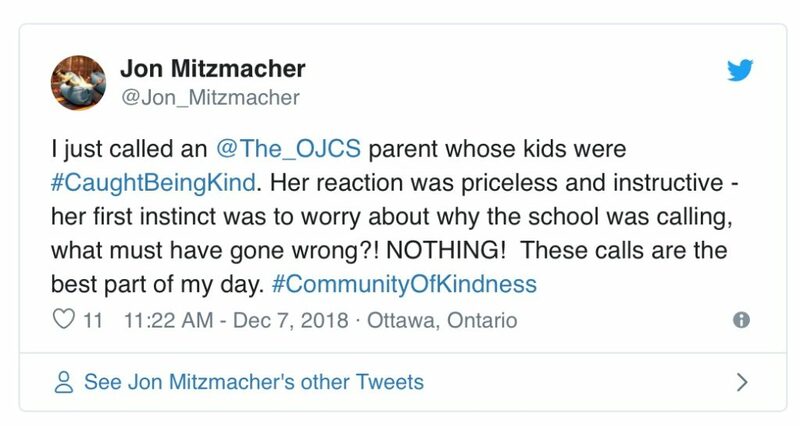 It is just another example of how OJCS is becoming an educational leader in our community.